Battery Day 2019...Get Charged Up! We’re number three! And it’s actually a good thing. Last year, Georgia residents ranked third in the nation when it comes to recycling batteries with the nation’s largest battery recycling program. Peach State residents contributed more than 657,000 pounds of batteries to Call2Recycle. Only Vermont and Delaware outranked us, collecting fewer pounds—but having considerably higher collection rates. Why this matters: Batteries tossed into the trash end up in landfills, causing soil and water pollution. February 18 marks National Battery Day, a joint effort of Call2Recycle and Battery Council International, which reminds consumers that “when the power is lost, don’t toss!” Since the not-for-profit's founding in 1994, Call2Recycle has collected over 115 million pounds of batteries. Each year, the City of Milton hosts household hazardous waste collection events at a local school, collecting aerosols, pesticides, light bulbs, paints, and batteries. Collected materials are then sent to a third party contractor for environmentally safe disposal or recycling. 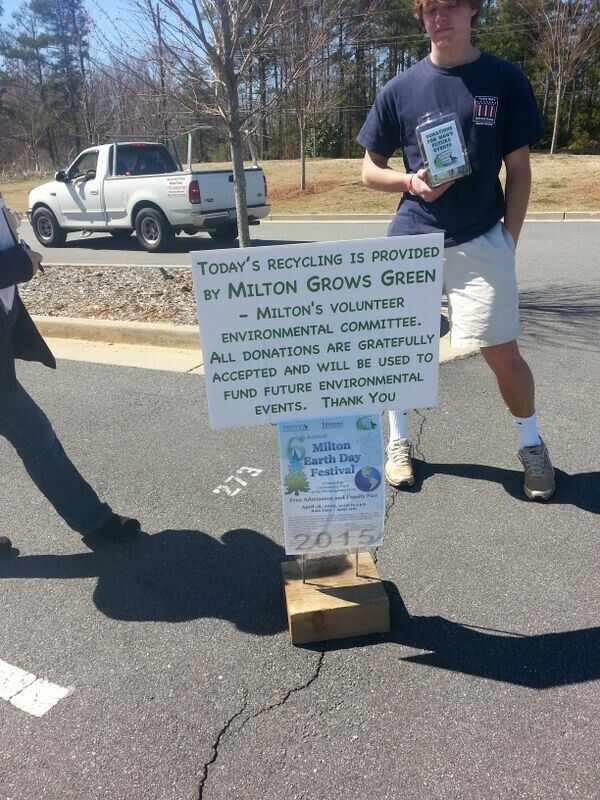 In 2016 alone, Milton collected more than 16,000 pounds of used paint and paint cans for proper disposal. Offering household hazardous waste collection events saves waterways, ecosystems, and garbage collection infrastructure from the effects of illegally or improperly dumped paint. Drain Cleaner - Use vinegar and baking soda to clear your drains on a regular basis, to reduce the need for chemical-heavy unclogging solutions. Silver Polish - Boil water in a shallow pan and add salt, baking soda, and aluminum foil; submerge silver and boil for 2-3 minutes before wiping tarnish away. Rug & Mattress Deodorizer - Liberally apply baking soda to soft surfaces and let sit for at least 15 minutes before vacuuming. CHaRM's services are open to all metro Atlanta residents. The Green Matters e-newsletter is designed to give you a glimpse of important sustainability initiatives happening around the metro Atlanta region and beyond. Whether it's the latest research, new educational offerings, environmental stewardship efforts or potential funding opportunities, this e-newsletter will help you stay abreast of what's happening in this important area.